What is the Polish of a Diamond? So you’ve heard of the 4C’s, but what about diamond polish? How exactly does polish fit into a diamond’s grade, and how does it affect its price? The polish of the diamond is the shine that is given to a diamond after it is cut. Polishing a diamond allows light to reflect off its surface, giving it that beautiful shine. 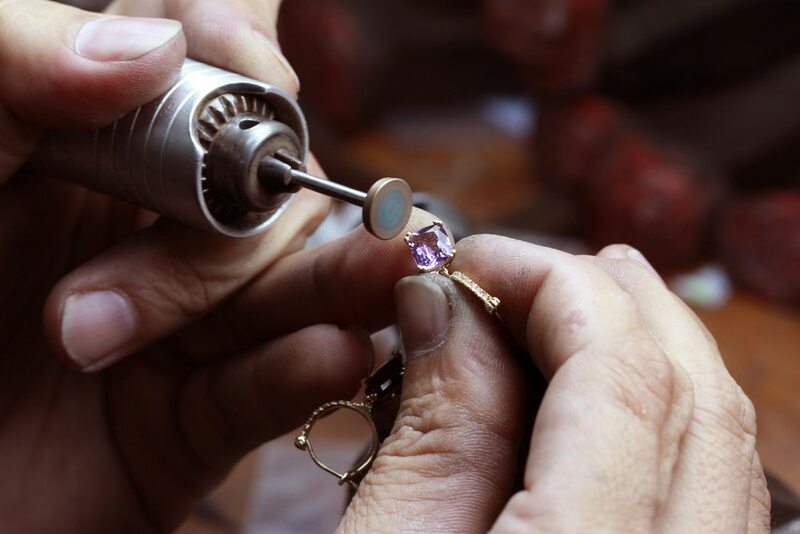 After a stone is cut, polishing refines the look of the stone to give it a flawless finish. The polish of a stone plays a role in both the Clarity and Cut ratings of the 4C’s, but it is also graded in its own right, as well. However, the polish of the stone can be affected by many factors throughout a diamond’s life. 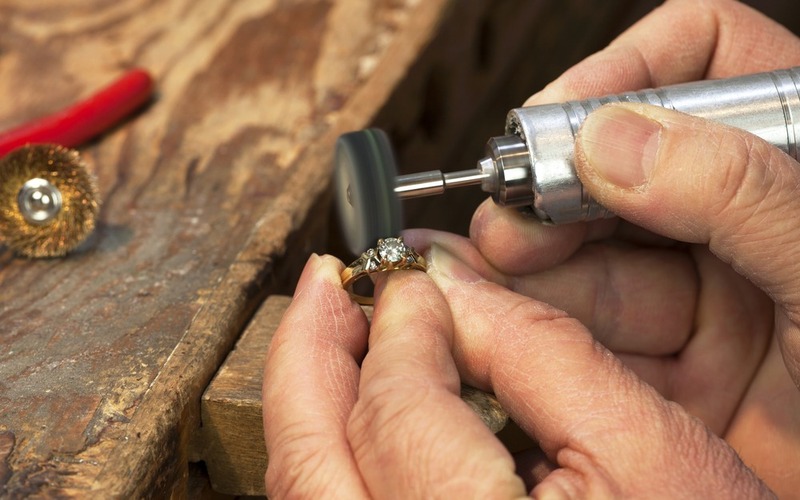 How you handle your diamond creates wear and tear on the stone and affects the stone’s polish. Preserving that perfect sheen requires diligence and care on behalf of the wearer. Every little flaw affects the polish of the diamond. According to Beyond 4Cs, polish grade can be lowered by a rough girdle, nicks and scratches, burn marks (from the polishing process), lizard skin (a bumpy texture on even a single facet), and any abrasions. The GIA ratings for polish range from Excellent to Poor, and the polish information for a stone is usually found under the ‘Proportions’ section of a GIA certificate. The GIA grades diamonds using a 10x magnification. Although flaws may include tiny nicks and abrasions, typically these are not visible to the naked eye. However, if the eye can indeed pick them up, the grade will reflect the severity of the blemish. If an accident causes a nick in the diamond, the diamond may be professionally re-cut and re-polished. However, even the slightest re-cut will sacrifice some carat weight. At times—and depending on diamond shape—buyers may opt for a lower polish grade. Beyond 4Cs recommends a minimum polish grade of Excellent for round stones and Very Good for fancy shapes. The highest polish grade might still have a few tiny flaws. However, according to the GIA, if a diamond has any imperfections in its polish (even slight), the stone cannot be considered Flawless for clarity. These near-perfect stones are graded IF, or Internally Flawless, and often carry notes about “surface graining”, indicating minor polishing flaws not visible to the naked eye. To care for your diamond, and keep that polish pristine, you may opt to clean diamond jewelry at home. Oils and debris can dull brilliance, but soaking jewelry in a solution of water and mild dish soap will help remove build up. Scrub your diamond gently with a soft-bristled toothbrush to make sure all debris is cleaned from facets and crevices. 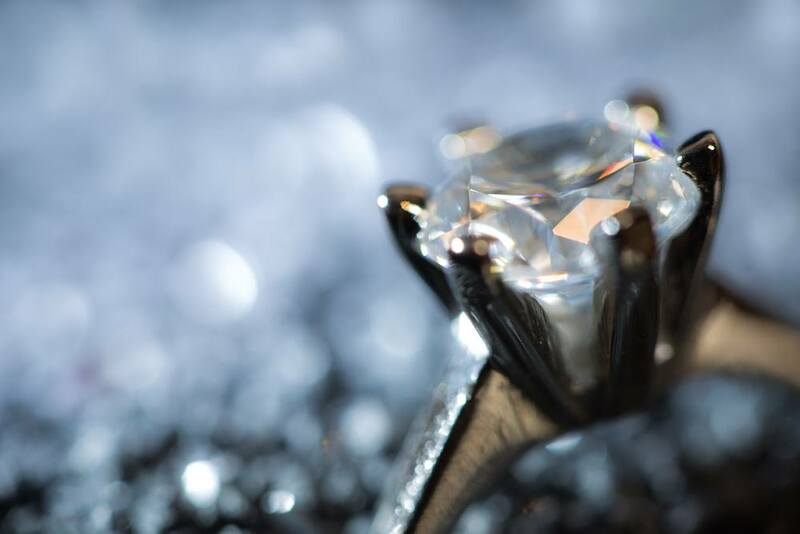 Always remove rings and jewelry when using and working with harsh chemicals; while bleach and other cleaners don’t necessarily harm diamonds, they will cause wear and tear on the metals of the setting. And avoid wearing jewelry when engaged in strenuous activity. By understanding how to invest in and protect a diamond’s polish, buyers can ensure that their diamond gleams with optimal Brilliance.